I've had this pattern from Amy Butler in my stash for awhile, and I'm itching to get started on it. 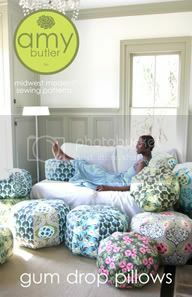 I think these pillows are full of whimsy and fun, and could really liven up a space. You can buy the pattern HERE. 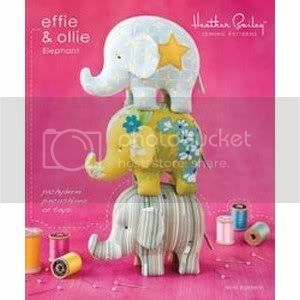 I'm loving these elephant pincushions from Heather Bailey. I have a slight obsession with pincushions, and I think I might have to make a few of these, too. You can find the pattern HERE. 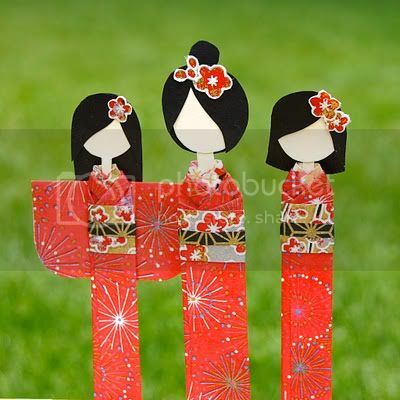 I totally ♥ these paper japanese doll bookmarks/whatever you want them to be. I'm always on the look out for pretty bookmarks, and these fit the bill nicely. You can find the tutorial HERE. 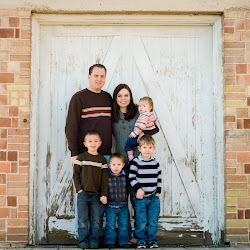 You should also check out their whole blog HERE, and their shop HERE. Their shop is full of really, really lovely things. They're based in Canada, and for right now, only ship within Canada...except they mention that if you live outside of Canada and really truly can't live without something you see in their shop, contact them, and they'll figure out shipping. This pillow rocks. You can find a basic how-to HERE. 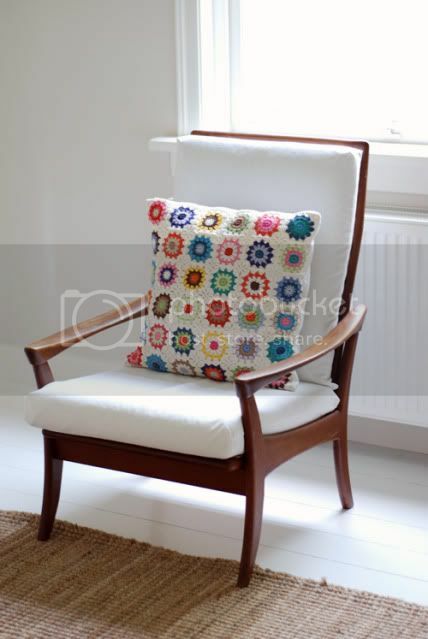 Though, you have to be somewhat familiar with crochet, as it's not a step-by-step pattern. I can totally see myself wearing this in the coming months. Stay warm, and look cute - it's a win-win :) You can find the pattern HERE. You can also feel good about your purchase because she donates 10% of all proceeds to LDS Humanitarian Services. Another one of my obsessions is reading. 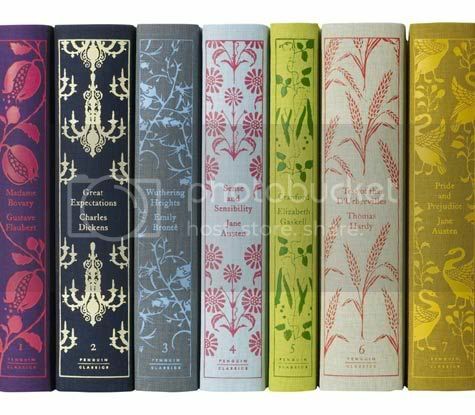 James (my husband/best friend) shares this obsession and we dream of having a bookcase full of beautifully bound editions of our favorite books. I've been eyeing this line of books by Penguin Classics for quite some time now. You can find them HERE. 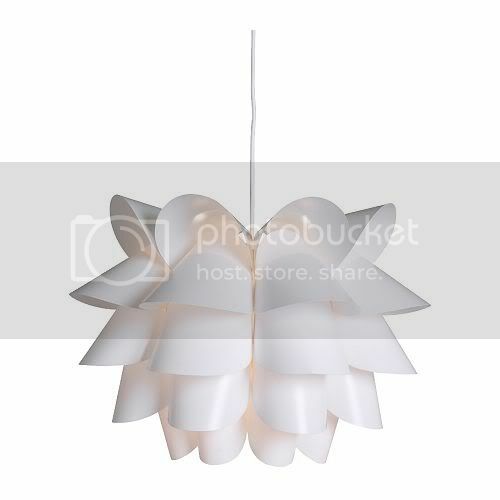 My mom actually told me about about this pendant lamp. She saw it in a magazine, and thought it would be something I'd like. And I do!! I can't wait to have a house to hang this in. You can find it HERE. And last, but not least, I'm all over this shirt. It's the perfect blend of comfort and femininity. I love Chadwicks. They have a killer clearance section, though their normal prices are usually pretty fair, too. I bought one of my all-time favorite, I'll-cry-when-it-wears-out skirts on clearance from their website a couple of years ago. You should check them out. You can find the shirt HERE. If you have any favorites, do share!! You have a beautiful eye and wonderful skills as a homemaker. I can tell that I will always be jealous of your home. thanks for the link to our dolls and the shop! We actually can and do ship to the US. And most of the time (depending on the size of your order) can honour our $5.00 flat rate shipping fee. Simply order through the site!